Flat ramp surface to guarded platform. Available in several variations: single or double depth platform, 2 to 4 bay widths and different platform heights. 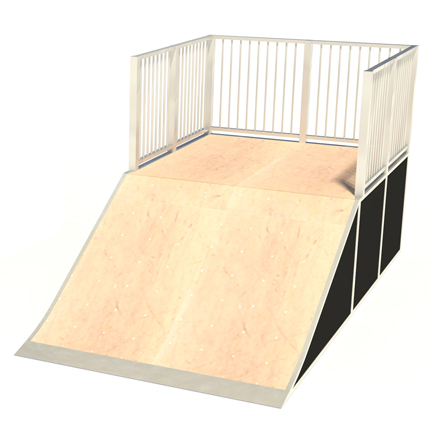 This range allows a choice of ramp to suit skaters of different abilities.